Auctions of GREAT BRITAIN and BRITISH EMPIRE & FOREIGN COUNTRIES held over three days between Tuesday 4th and Thursday 6th December, the concluding sales of the Autumn 2012 Season, achieved an excellent combined total of £1,352,806. 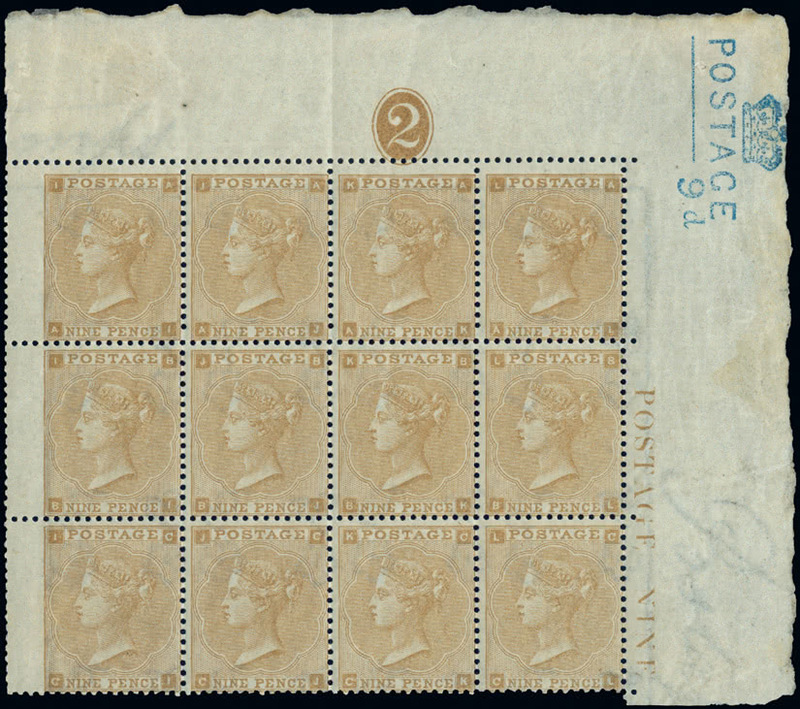 SPECIALISED GREAT BRITAIN STAMPS AND COVERS, a three session auction held over two days, contained many notable prices, in spite of what many now consider to be a patchy Great Britain market. 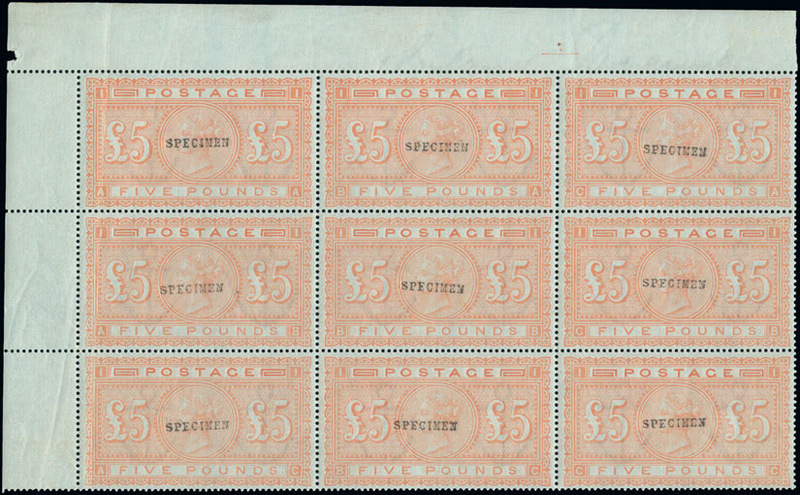 The two top prices paid in the sale were for two exceptional Surface Printed multiples: the block of nine of the 1882-83 blued paper “SPECIMEN” £5 orange (lot 804, est. £20,000-25,000) which achieved an impressive £28,896, and a most attractive part mint pane of twelve of the 1862-64 9d. straw that had formerly graced the Seymour, Beaumont and Shaida collections (lot 762, est. £15,000-18,000), which rose to £26,488. 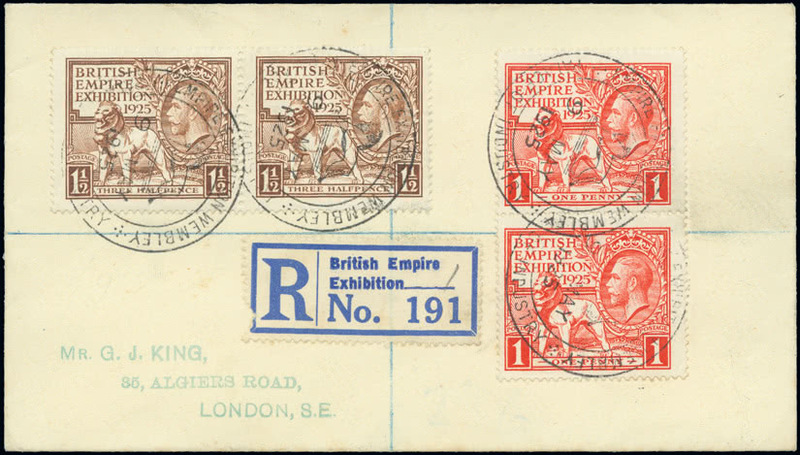 The section of the sale dedicated to the Dr. Ronnie Shiers collection of the 1924 and 1925 Wembley Exhibitions generated strong interest from collectors, the 1925 Wembley set in pairs on a registered first day cover from the Palace of Industry (lot 1070) realising a creditable £987. This was an auction strong in the issues of Queen Elizabeth II, including the Brian Jones collection of Machin issues, the Barry Smith collection of Prestige Booklets and a fine range of commemorative varieties. 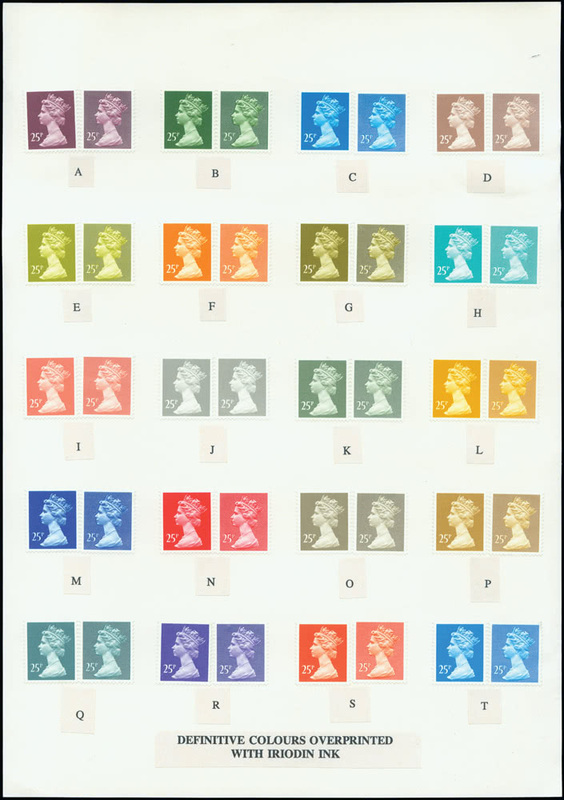 Strong prices included the highly attractive 2003 De La Rue Machin colour choice card (lot 1500, est. 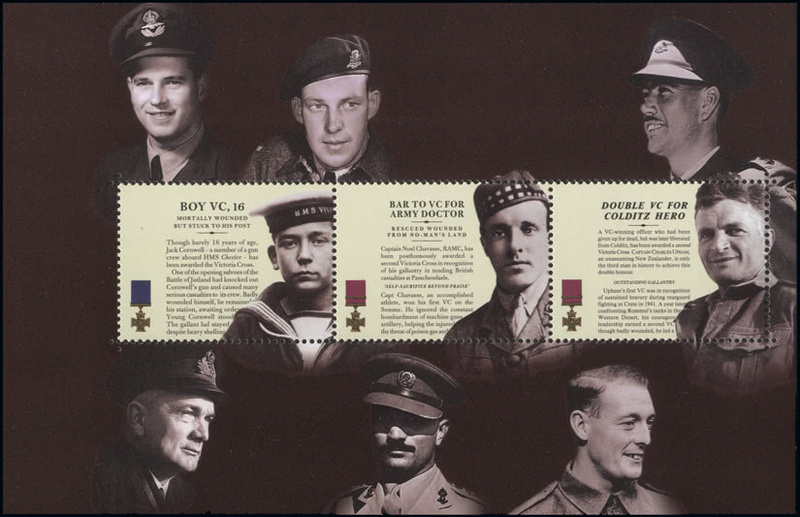 £1,200-£1,500, realised £6,020) and the 2006 Victoria Cross booklet with one pane showing bronze and phosphor omitted (lot 1474, est. £8,000-£10,000, realized £11,934). 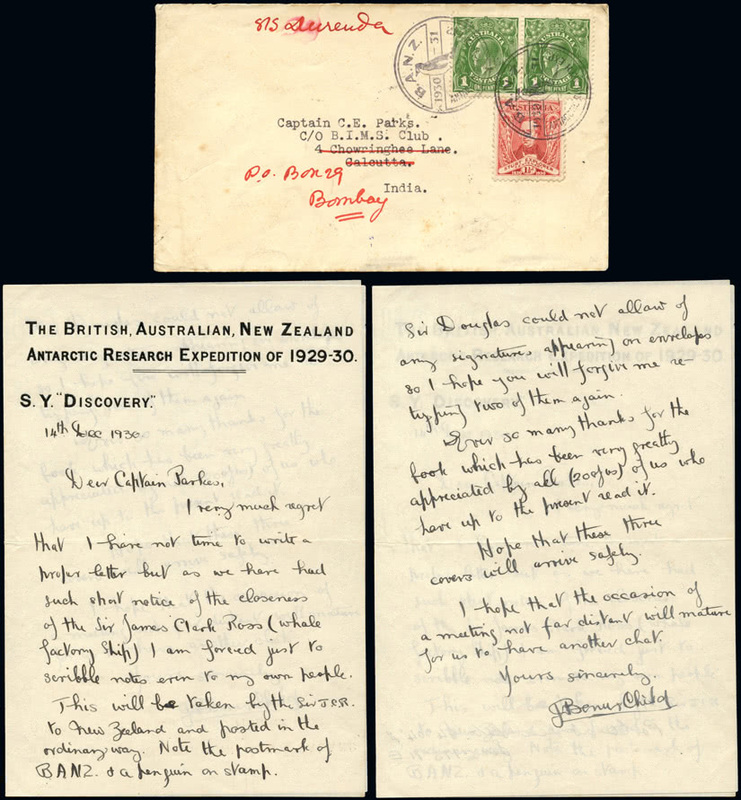 The entirety of the first session of the BRITISH EMPIRE & FOREIGN COUNTRIES auction was devoted to the latest in a biannual series presenting important material from the Falkland Islands & Antarctica. This was a well-attended section with strong prices throughout and an overall result more than 20% above the pre-sale expectation. Not entirely surprising perhaps was the high price of £16,856 paid for the 1876 envelope showing the first recorded use of the Red Frank (lot 2005). 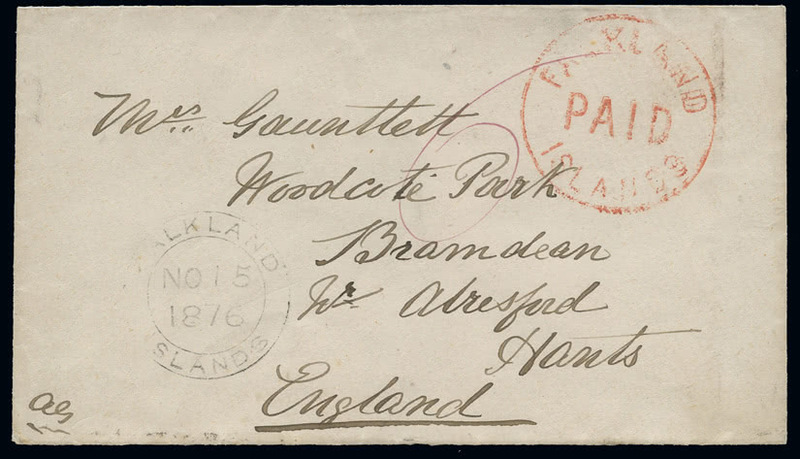 The 1875 Black Frank cover (lot 2003) also achieved a high figure of £12,285, this due not only to it being the only example addressed to Tobago but more importantly because of its status as the only registered example of the Black Frank addressed to a country other than Great Britain. 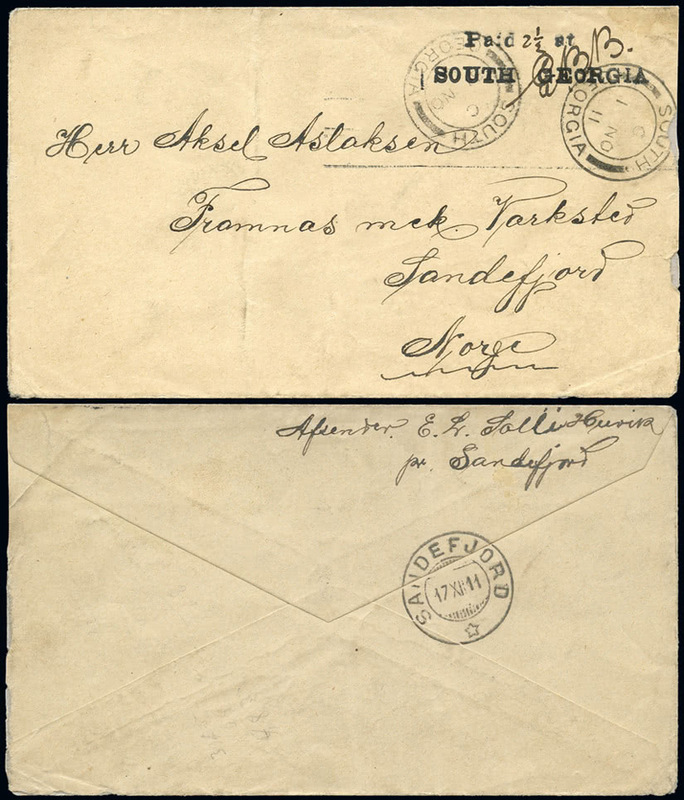 Two further rarities included in this section were the fine examples of the very scarce ‘Paid at South Georgia’ handstamp (lots 2284, 2285), one an envelope with the “21/2” value inserted in manuscript, the other a postcard rated “1d” by the same method, which, despite their differences, achieved an identical £5,779. 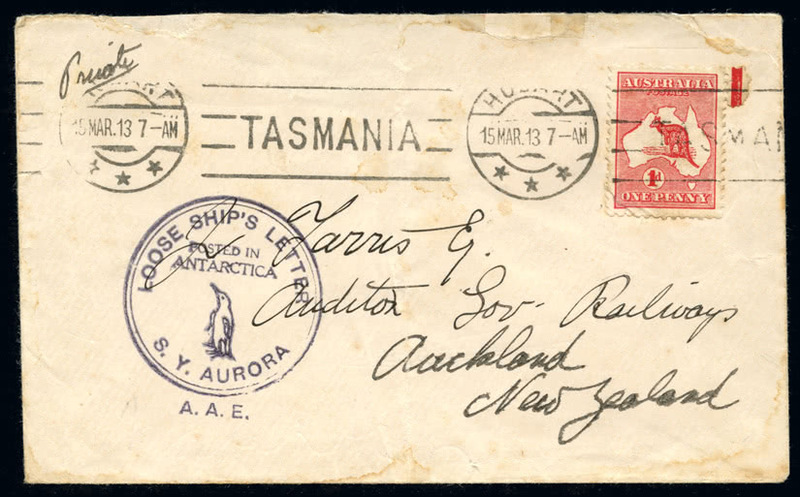 The Roy Allen collection of Antarctica received an enthusiastic response from specialist collectors resulting in some notable results including those for items sent from the 1911-14 Australasian Expedition (lot 2364, £2,227) and the 1930-31 British, Australian, New Zealand Research Expedition (lot 2374, £1,746). 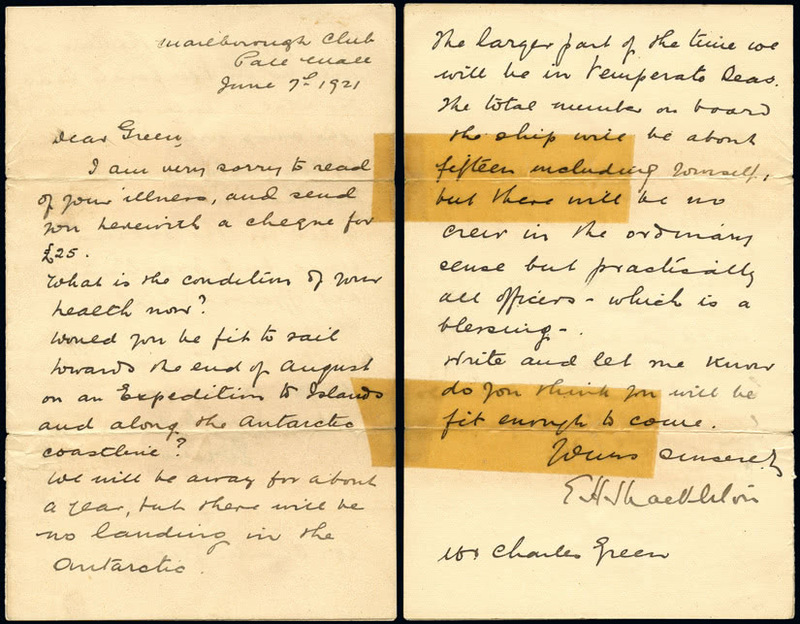 Much interest was generated by the 1921 letter (lot 2367) written to Charles Green by Sir Ernest Shackleton inviting Green to accompany him once again to Southern latitudes, this interest reflected on the day by its selling for £1,228, well in excess of the £500-£600 pre-sale estimate. After the customary popular section of Miscellaneous & Mixed Lots, which as always attracted lively bidding from a full room, the Michael Gosney collection of Rotary International provided a very different range of unusual material. 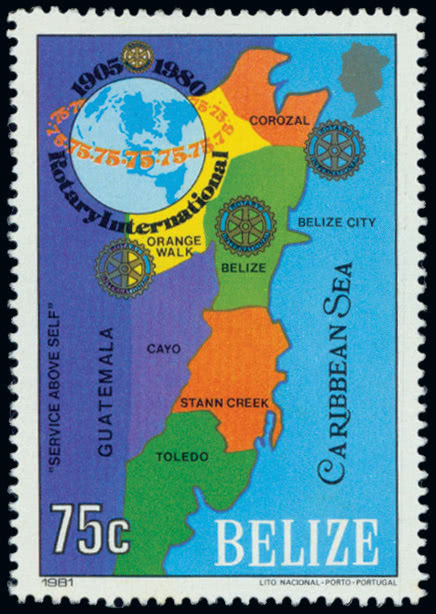 The rarely-offered Belize 1981 Rotary 75c. 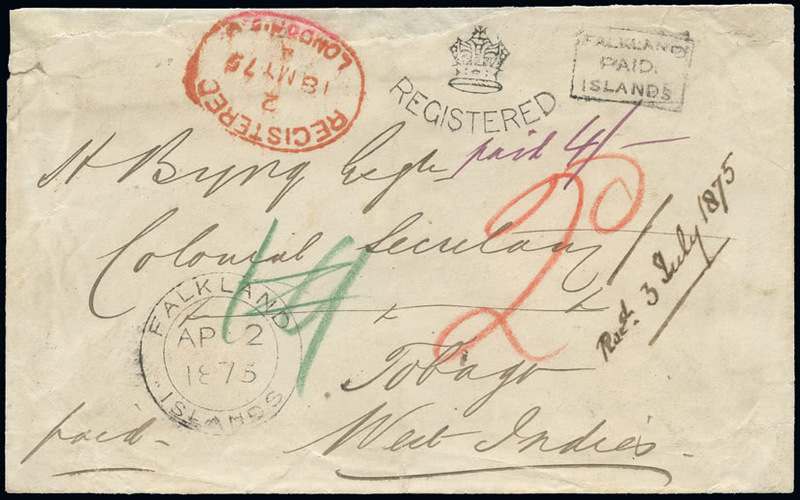 stamp (lot 2561), that had been placed on sale for only for a few hours and quickly withdrawn due to objections to the colours used on the map, created some surprise by rising from its estimate of £400-£500 to an impressive £1,521. The sale concluded with a comprehensive offering of lots from countries listed from Abu Dhabi to Yemen. 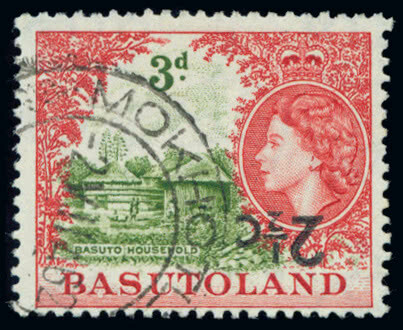 During a long but rewarding afternoon modern British Empire errors again achieved some notable results including a used example of the Basutoland 1961 21/2c. on 3d. 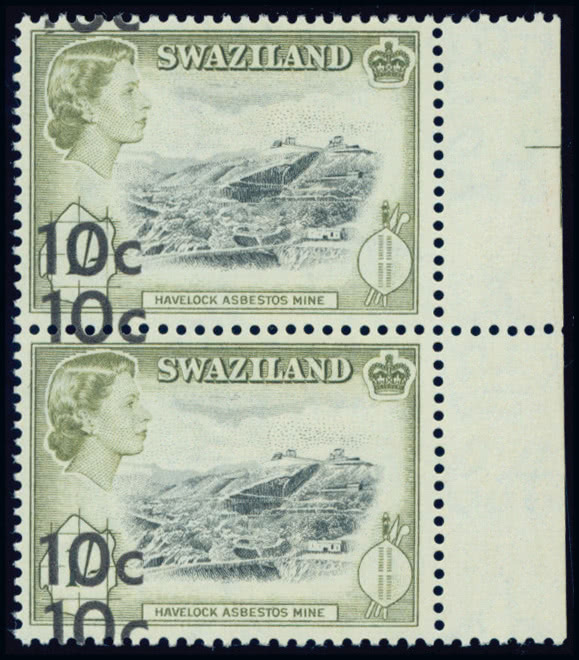 type II with surcharge inverted (lot 2701) which sold for £5,016 (Stanley Gibbons catalogue value £2,250) and the Swaziland 1961 10c. on 1s. 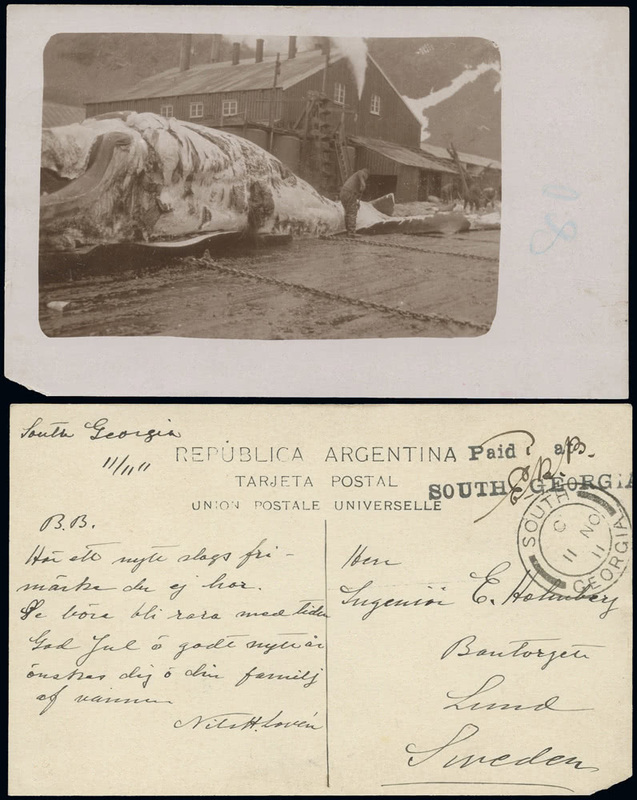 surcharge double in a marginal pair (lot 3179, S.G. cat. £3,000) which achieved £4,389. Elsewhere an interesting collection of Cyprus postcards (lot 2829) left its £350-400 estimate far behind, rising to £6,261. Prices quoted include buyer’s premium and VAT. A full listing of prices realised at these auctions may be downloaded from the Grosvenor website www.grosvenorauctions.com.